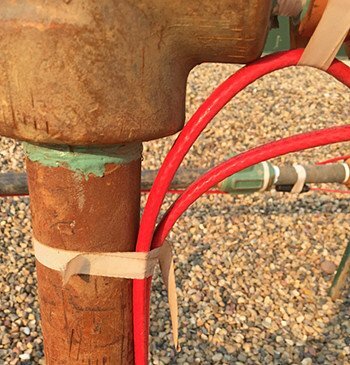 Spanwell’s heavy duty S Hooks are an easy, effective and economical way to keep wellhead cables and cords organized. This will minimize slip, trip and fall hazards. 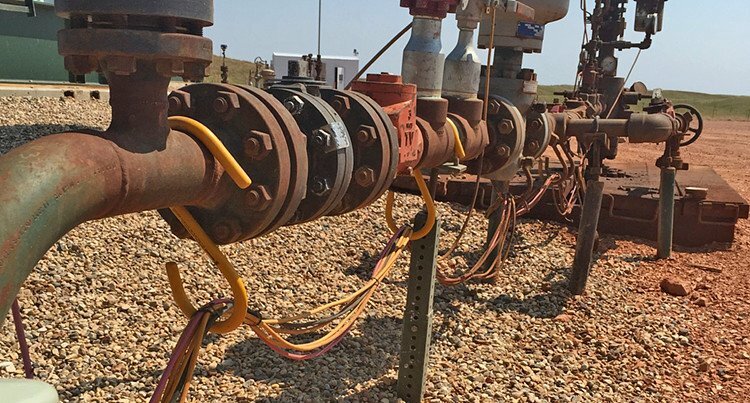 On a daily basis, a variety of oil field roustabouts interact with wellheads. It could be an oil company’s wellhead pumper maintaining the wellhead and monitoring auxiliary equipment or a third party worker accessing sample points. The large S Hook helps to lower tripping accidents in all working conditions by keeping excess cables and cords off the ground. Oilfields, particularly in the Bakken region, experience extreme temperature swings from -38 degrees below zero to over 100 degrees Fahrenheit. The Spanwell S Hook (SW1275) is made of solid aluminum and coated with non-conductive, highly durable PVC that can withstand such extreme temperature fluctuations and severe weather conditions. Other organizing devices like zip ties and tape quickly deteriorate and lose effectiveness in extreme temperatures, snow, rain and wind. The Spanwell S Hook in safety yellow color is highly visible and is easy to install. These large S hooks are an economical way to manage all electrical cords and cables. Learn more about the Spanwell, 12” S Hook, Part #: SW1275. Spanwell S Hooks are also available in other sizes; the 9” tall S Hook is part number SW0950 and 14” tall extra-large S Hook is part number SW14100.